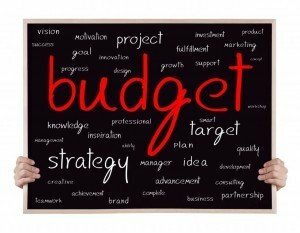 We need to know your budget so we can design a space that accomplishes your goals while being affordable. A good starting place for your budget is to plan to spend up to 25% of your homes value on a kitchen remodel and up to 15% on a bath remodel. Try starting with those numbers and refine them using some of the other methods below. Remodeling Magazine’s National Cost vs Value report tell us that the cost for a kitchen remodel in Florida ranges from $18,000 to $54,000 and bath remodels range from $15,000 to $35,000. The difference in cost is often due to the quality and price of the finish materials (counter tops, tile, cabinetry) and appliances you choose. In our experience those number are pretty accurate, though we have helped customers remodel for much less by utilizing our DIY Assistance Program. If you’d like to see the costs of some of our most recent projects visit our project gallery. We document each of our projects, what was done and how much it cost. Every project is unique and even similar projects can have significant price differences but it will provide a frame of reference and guidance. View our project gallery here. In our initial estimate we insert price ranges for things like tile, cabinets and counters. After we provide you our initial estimate and design we will ask you to visit our partner showrooms to choose things like tile, cabinetry and counter tops and plumbing fixtures. Once you’e chosen those materials we replace the price ranges with the exact figure for those materials. You can start the process early and visit our partner showrooms in advance. You decisions may change once we provide you our design but knowing the costs of the cabinets, counters, plumbing an lighting fixtures you like can also help you set a budget. Call Us for an Estimate and Design Anyway. Sometime we can do the project in two or three steps. Its not always possible but often it is. If this is something that interest you we can discuss it during our initial visit. Set a timeline and start saving. A kitchen or bath remodel is an investment in your home. They offer the highest return on investment of any remodeling project and have a big impact on how your enjoy your home. There are a lot of financing options out there. Whether or not you want to finance a remodel is up to you and we don’t want to put an pressure on you one way or the other. In some situations it could be a very good way to go but it could also lead to problems down the road. See advice from your bank or financial adviser.